Does this look familiar? This post has been updated to include info and pics from our recent stay! Every so often in my travels, I discover a hidden gem that throws me into vortex of manic happiness and inspiration. 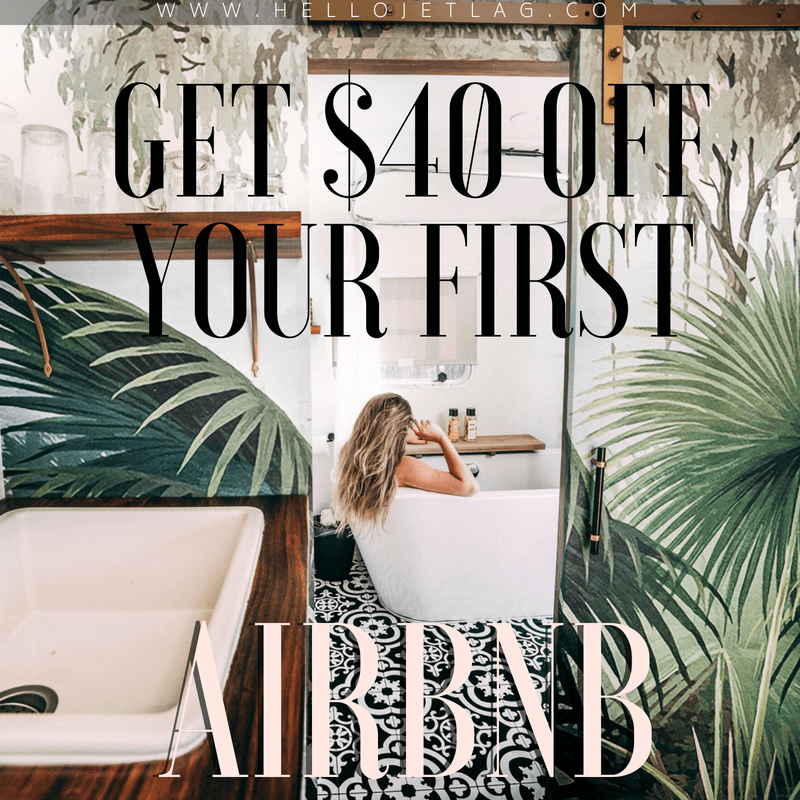 I experienced it in Cappadocia when we stumbled upon my favorite sunset bar in the world, and again in Montenegro as we ate the freshest oysters ever while sitting on a boat dock in the Bay of Kotor.. and last weekend it happened again during during our stay at the cutest Airbnb in Mexico, Arre Lulu Baja. 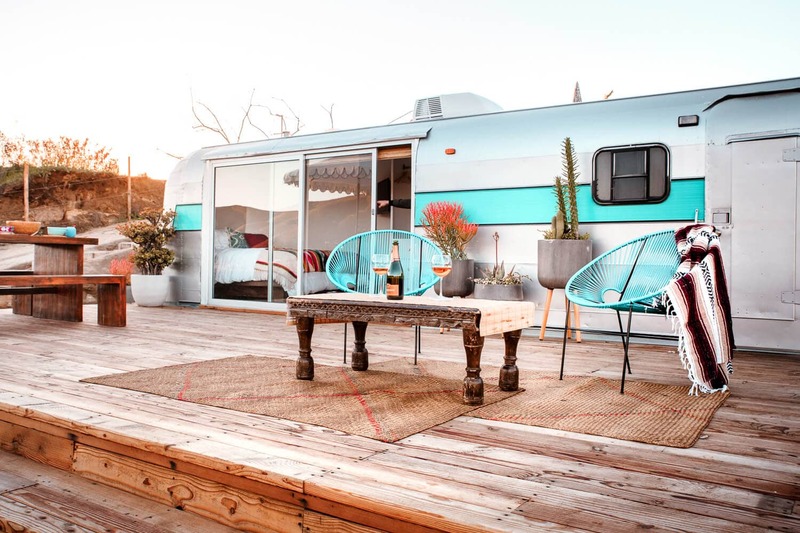 Arre Lulu Baja are a pair of renovated Silver Streak trailers located Mexico’s wine region, Valle de Guadalupe, and it’s quickly become our favorite little home away from home, South of the border. 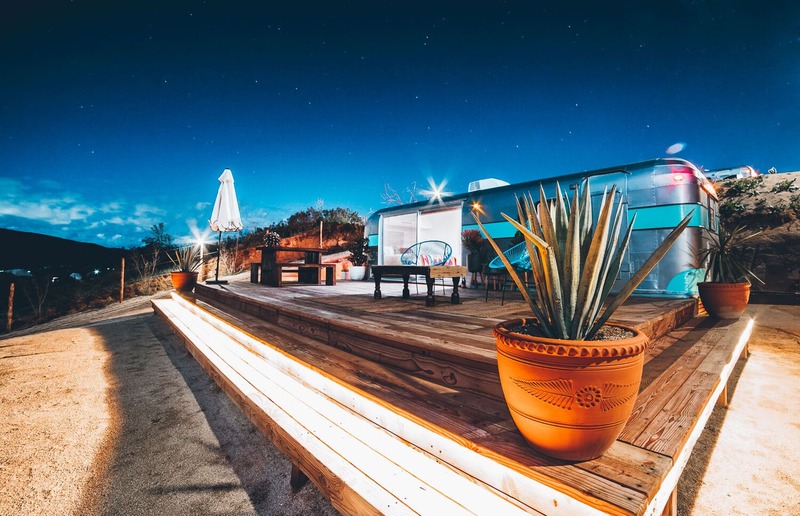 Last year, Nick and I visited Valle de Guadalupe for the first time and fell in love with its eclectic, laid back vibes. When a friend of ours invited us back for his wedding in July, we jumped at the chance to return. 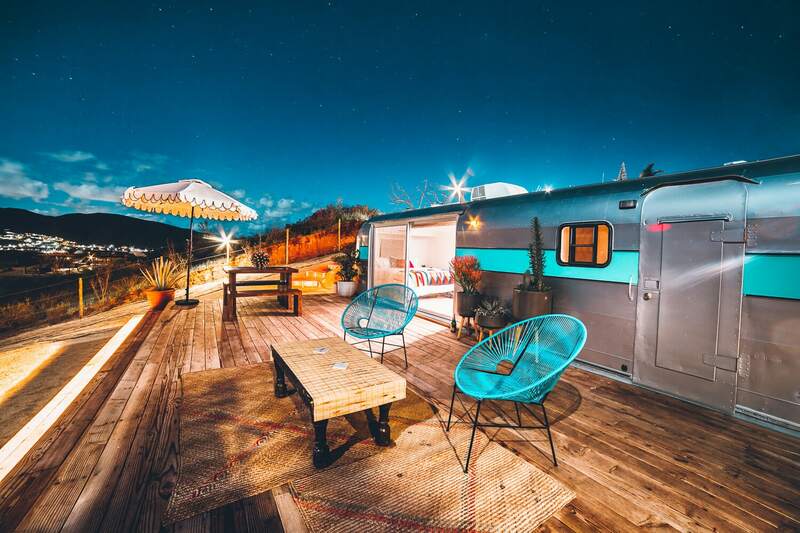 The region is quickly expanding with new wineries, restaurants and hotels; and having just opened their doors for business in June 2018 Arre Lulu Baja is one of the newest unique lodging options in the area. Charisse and Tony are the owners of Arre Lulu Baja, and they’re some of the nicest people ever. 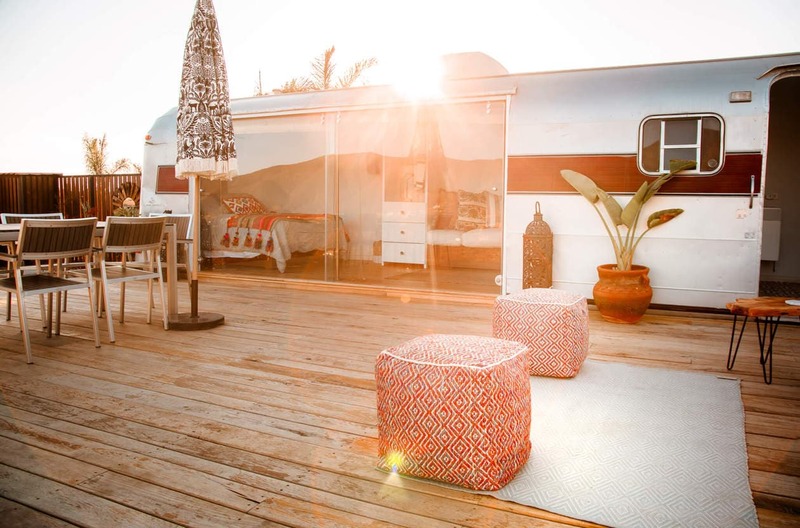 Working as a production designer and a prop master in the entertainment industry (which makes total sense once you see the details of this place) they have a knack for design and wanted to create something fun. 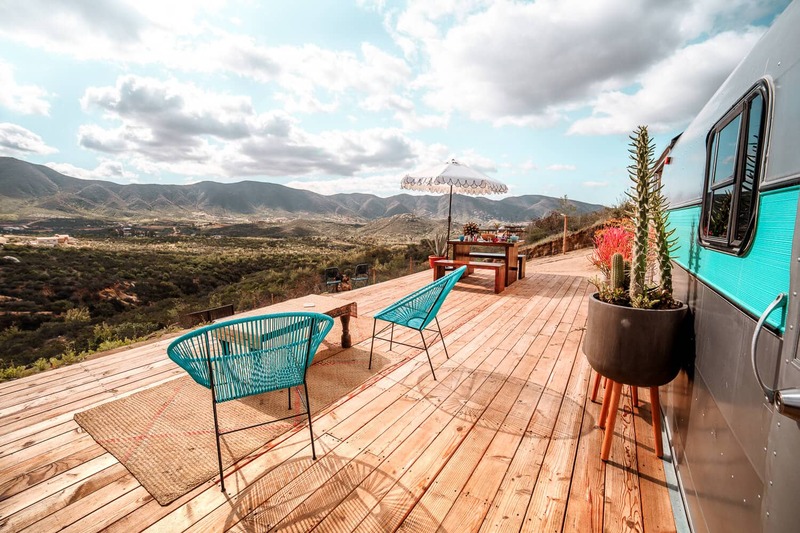 When they first started dating, the couple took a trip to Valle de Guadalupe and loved it so much that they later decided to buy property here. 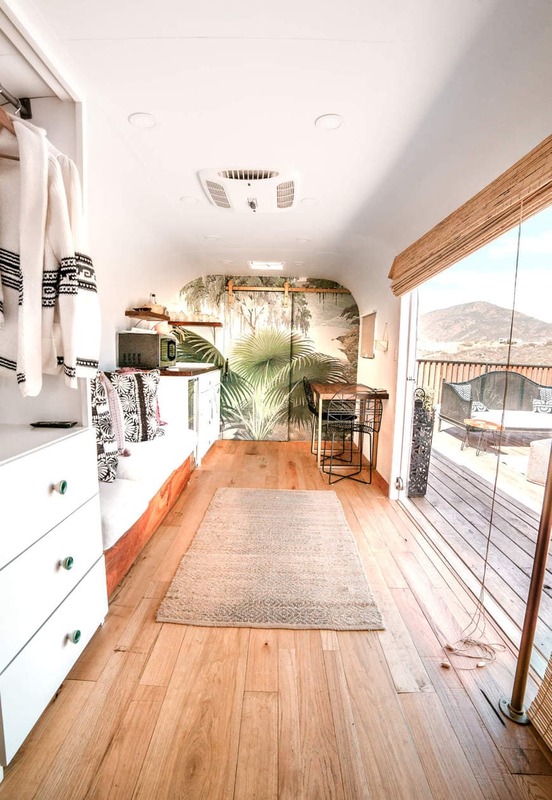 They designed and built the trailer together and have successfully created a picturesque nook in one of the most exciting, up and coming regions in North America. Charisse and Tony are super responsive and available whenever you might need them, and it’s literally never taken longer than a few minutes to get a response back whenever we contact them. 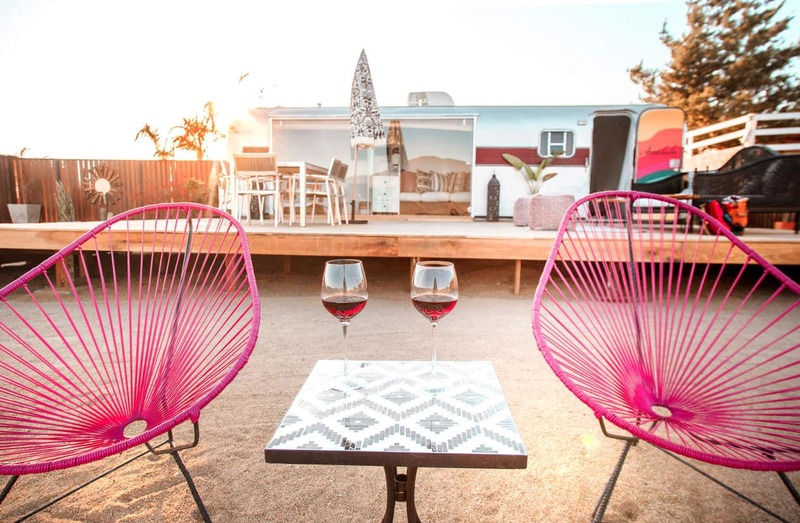 Created from remodeled 30′ Silver Streak Trailers, Arre Lulu Baja is complete with everything you need for a relaxing weekend of wine tasting. 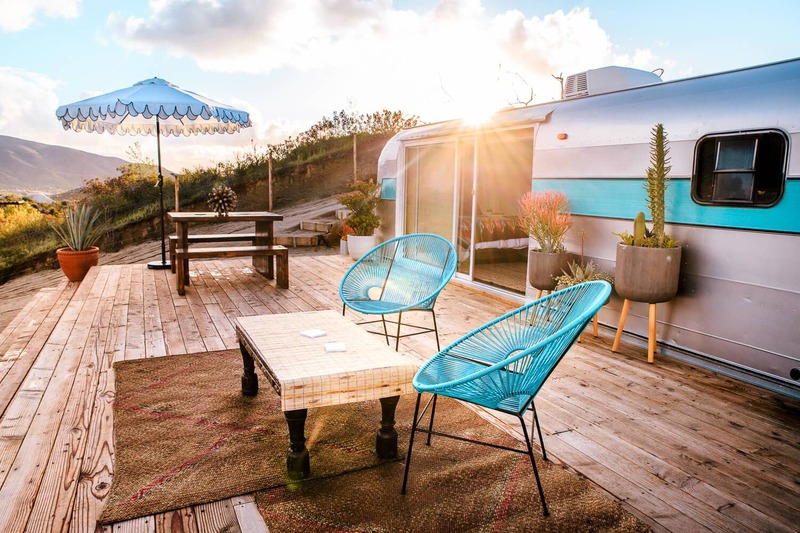 The large sliding glass doors on the side of the airstreams allow you to take in the valley views from your bed, and the massive deck complete with multiple lounging options are the perfect place to BBQ and watch the stars. 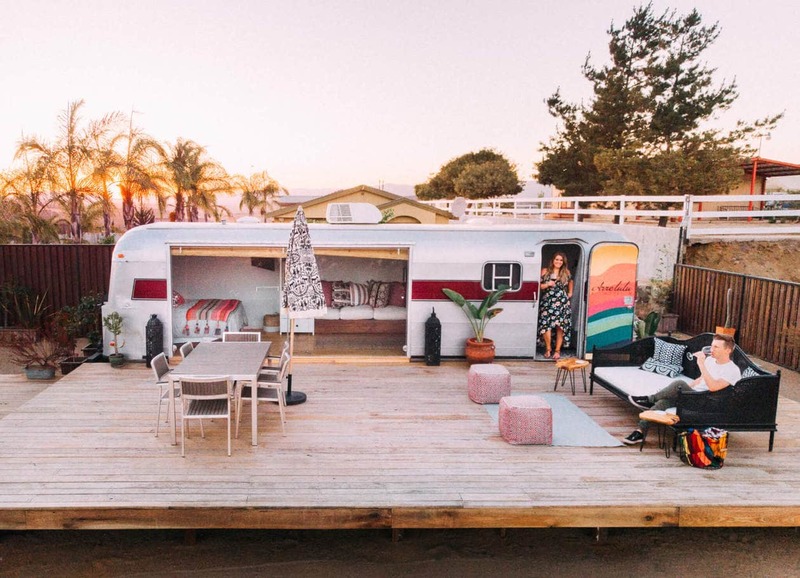 As of February 2019 there are two trailers on the property, with plans to build a third trailer and a pool in the near future. 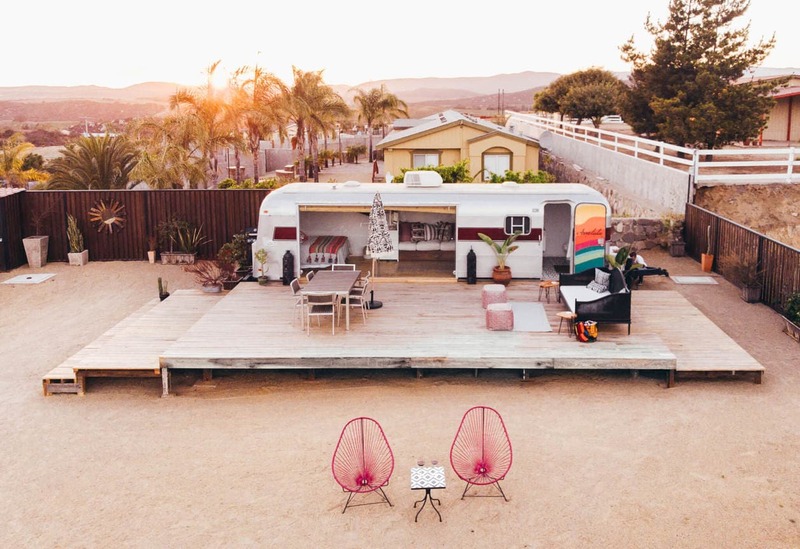 The airstreams are stacked vertically on the property, so even though you might be sharing the lot with other guests, it still feels very private. 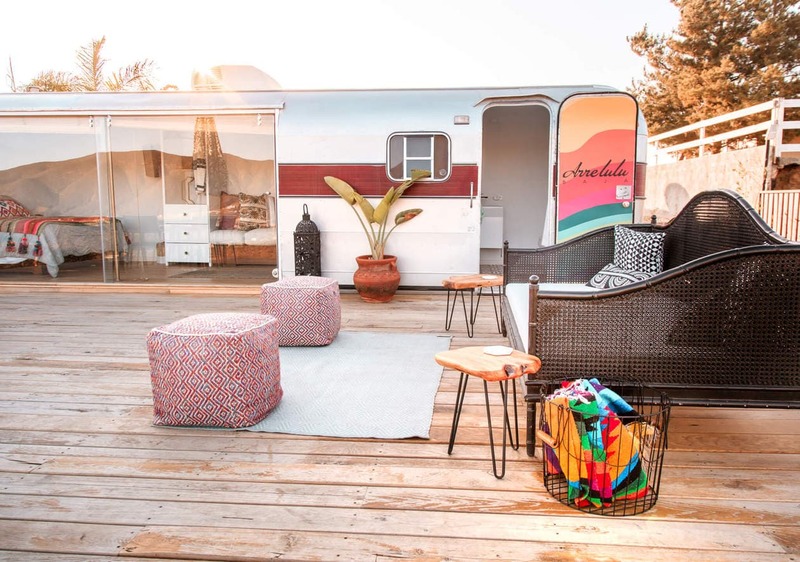 During our first visit to Arre Lulu Baja, we completely changed our weekend schedule around to give ourselves more time at the trailer. We stocked up on ice, drinks and snacks at Mercado Liz (the town’s supermarket) and spent the rest of the afternoon hanging out. And by hanging out I mean Nick drank wine while I ran around like a crazy person photographing the same things over and over again because everything was so perfect and I couldn’t stop. On our second visit, we knew better and planned a very light itinerary with lots of time to spend at Arre Lulu. 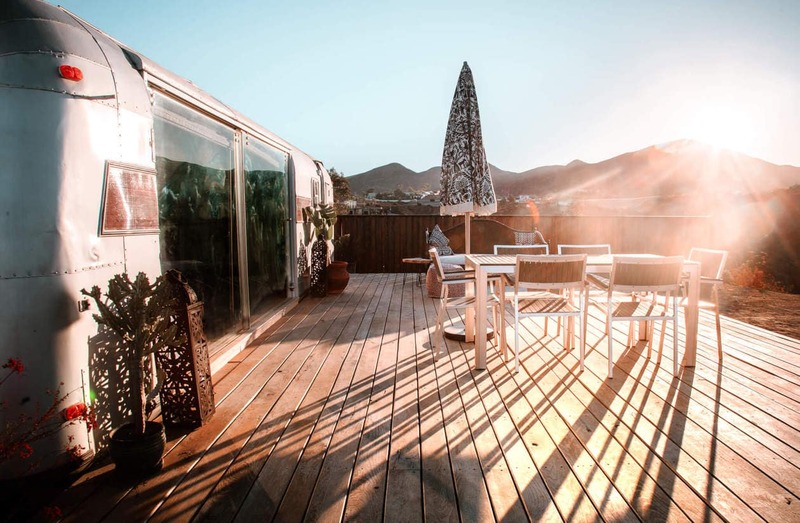 The atmosphere is so peaceful, it’s the perfect place to escape and wind down. 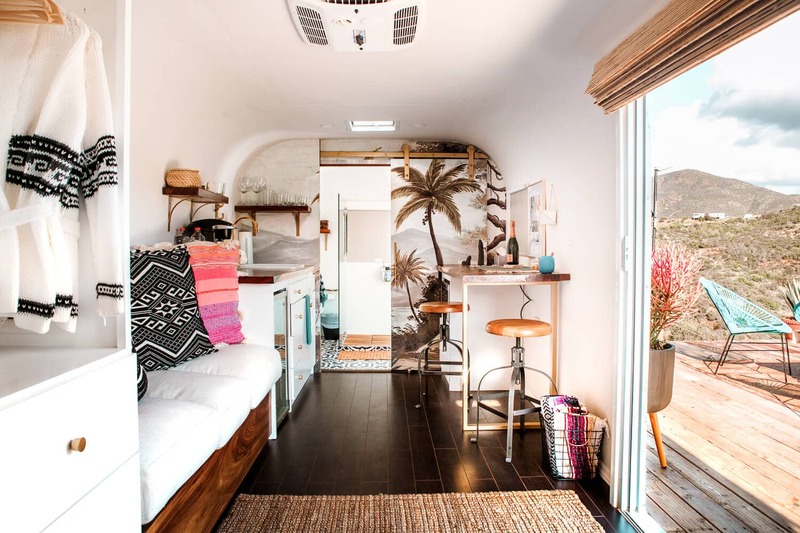 The inside of Arre Lulu Baja’s trailers are what Instagram dreams are made of. 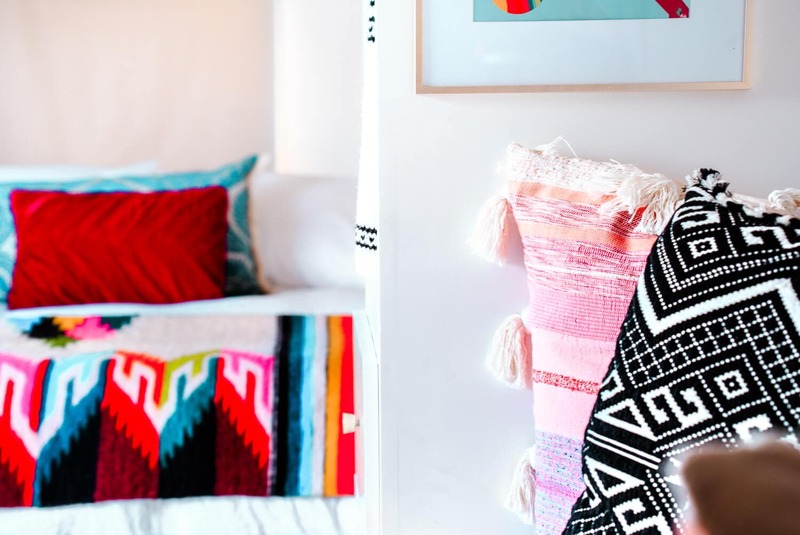 With their printed wall paper, gold accents and vibrant pops of color, no detail has gone unnoticed. Charisse and Tony have also equipped the trailer with everything you might need. 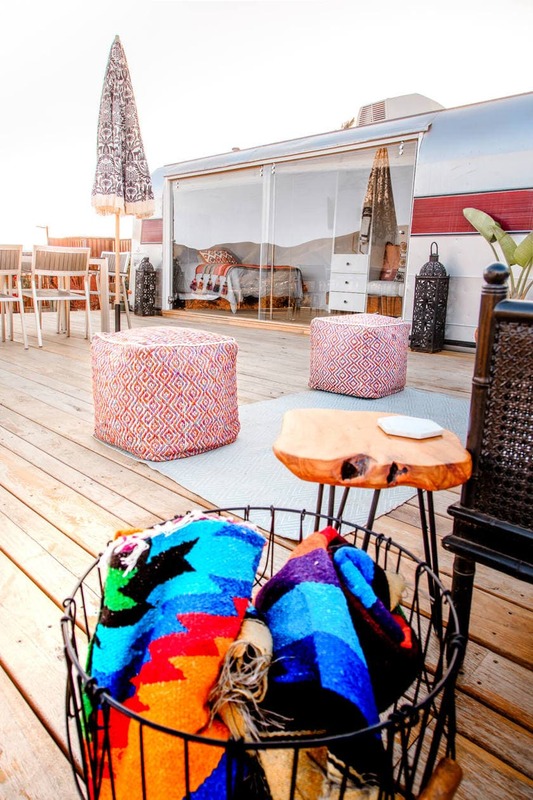 You’ll find two separate ice chests, a mini fridge, WiFi, a Smart TV, a propane/charcoal grill and fire pits. 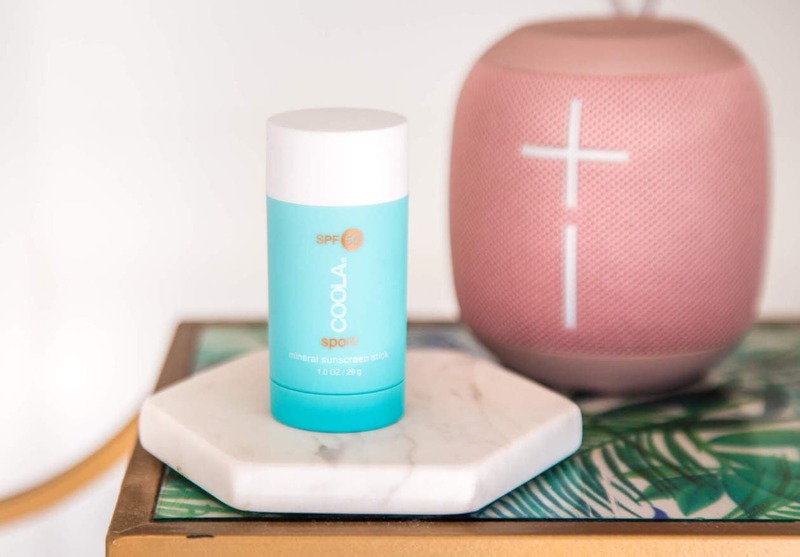 They’ve even added in all of the little things that you might forget such as sunscreen, Q-tips, a bluetooth speaker, bug spray and even sweaters for when the temperatures drop at night. The trailers also come with air conditioning and a space heater which was greatly appreciated given the 90 degree (F) temperatures on one weekend we visited, and 32 degree (F) temps the last time we were here. 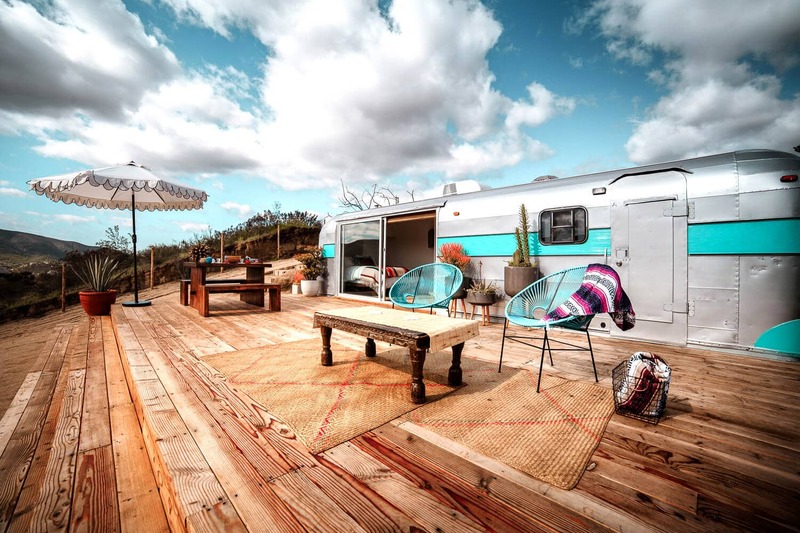 Charisse and Tony tony have positioned the trailers so that you have an incredible view of the valley at all times. We got lucky the last time lucky we visited and everything was so incredibly green from the recent rainfall. While it may not always be this lush, the view is consistently beautiful year-round. 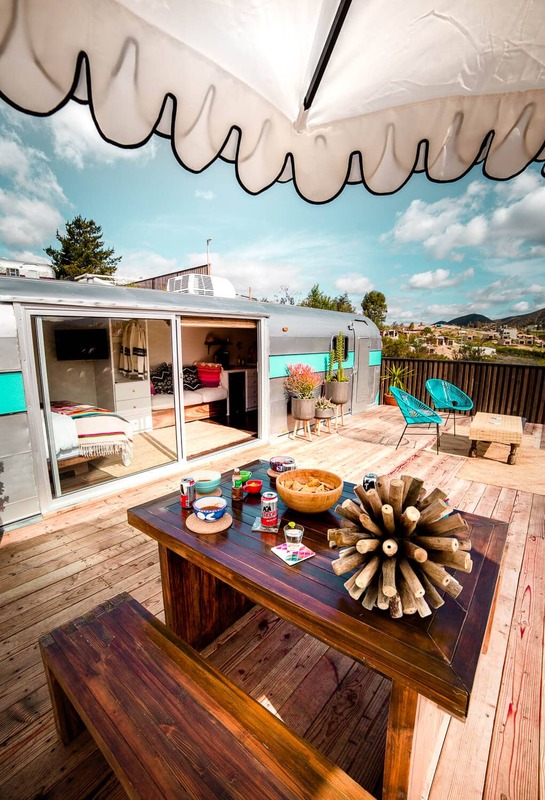 Both of Arre Lulu’s trailers are pretty similar in design, but they each have their own unique features to set them apart. 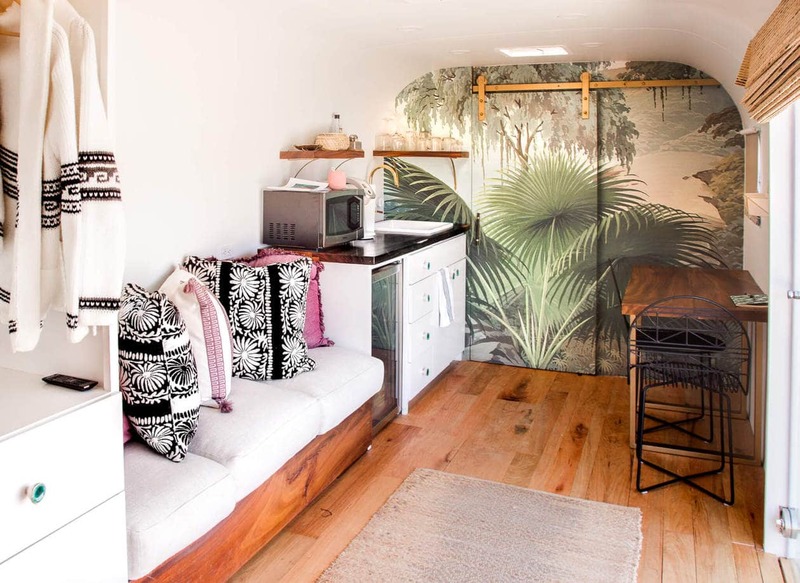 The original trailer is located at the top of the lot, and if I had to choose, I’d say the palm printed wall paper, pink accents and deep soaking tub make this one my favorite of the two. 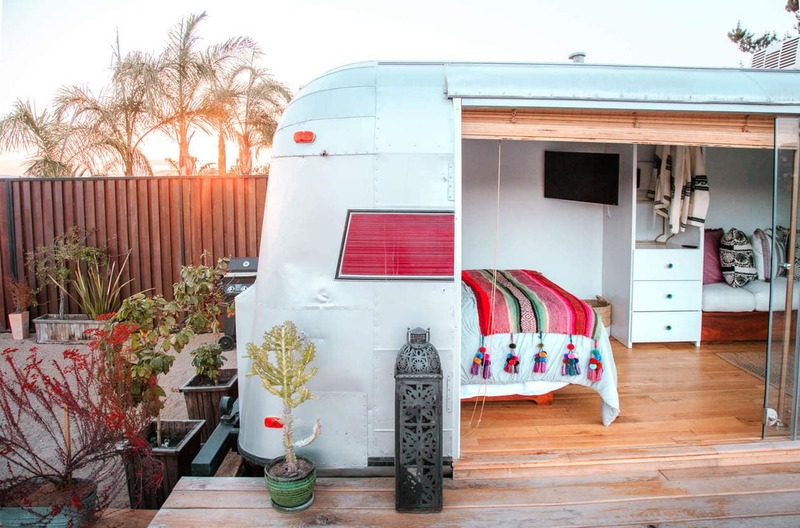 To book The Original Arre Lulu Baja Trailer, click here. Arre Lulu Dos is the newest of the trailers, which opened in February 2019. 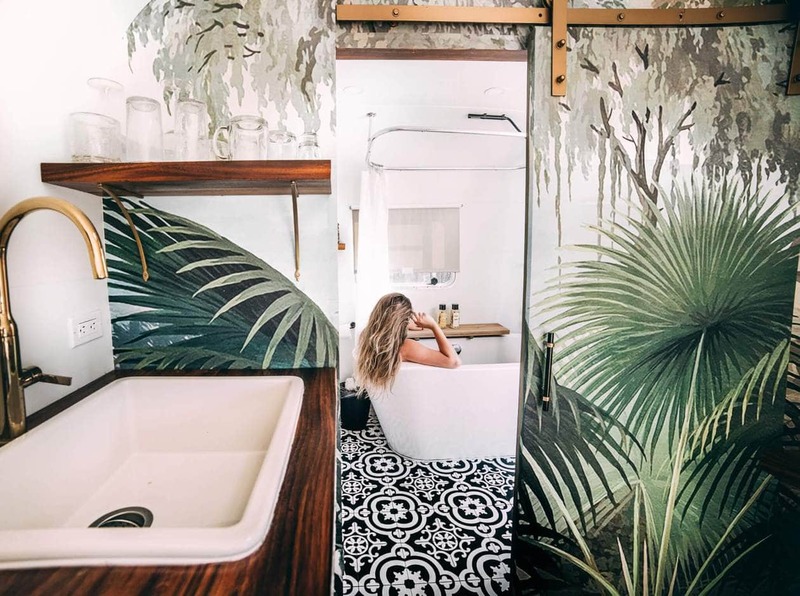 Blue is the accent color of choice, and they’ve traded the palm print wall paper for a jungly desert mural. 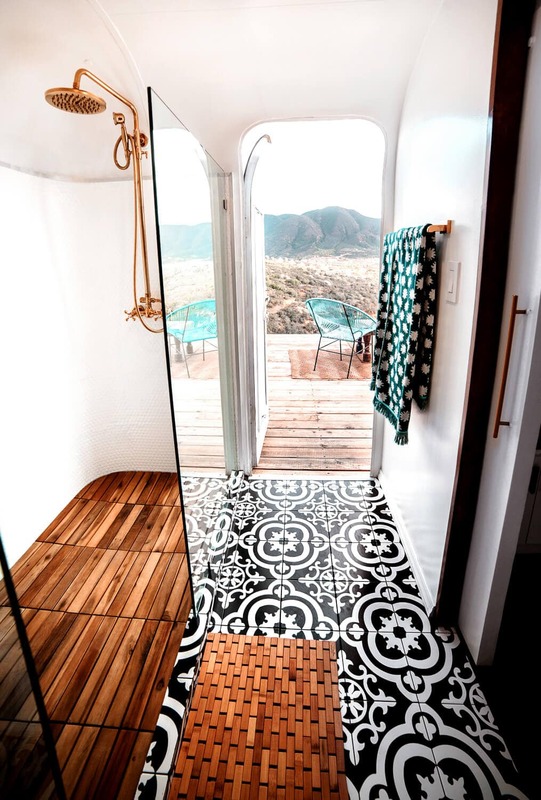 Arre Lulu Dos also has a shower instead of a bathtub and I highly recommend scrubbing down with the door open for some faux outdoor shower vibes. 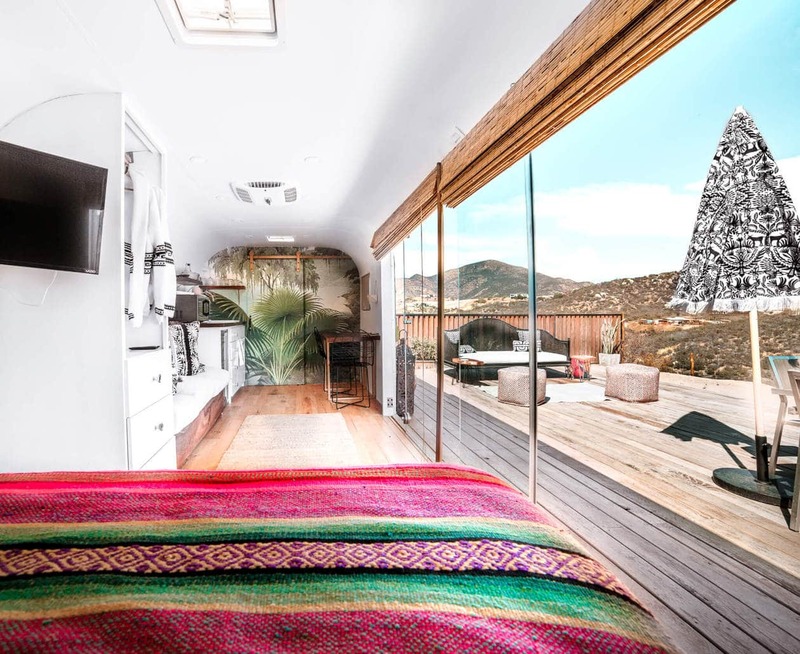 Arre Lulu Baja is a spacious, open and relaxing environment that captures the feel of Valle de Guadalupe through it’s chic and colorful design. 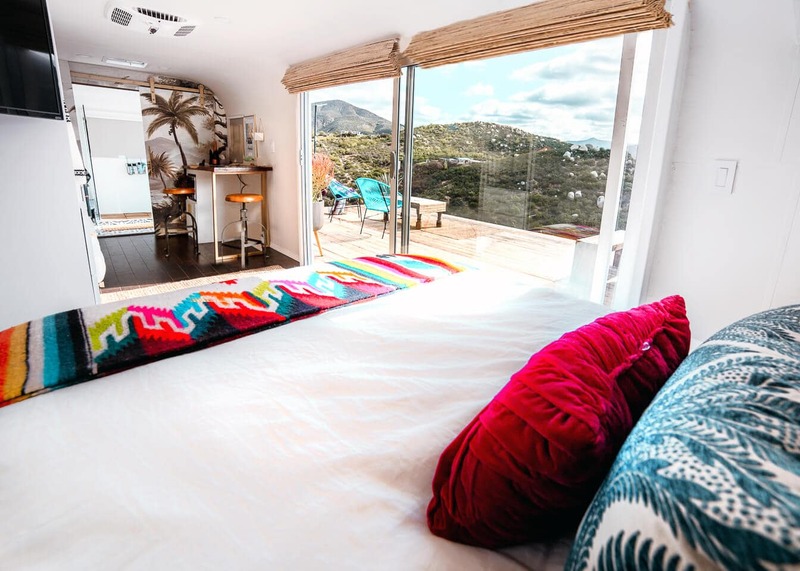 Everything was spotlessly clean, the bed was super comfortable, and Charisse and Tony were extremely responsive and helpful whenever we needed something. 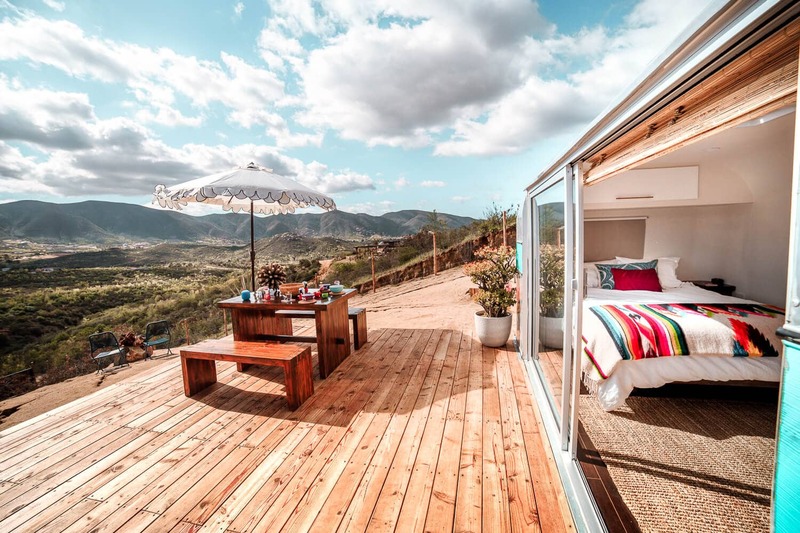 I can honestly say that this has hands down been my favorite Airbnb stay yet. 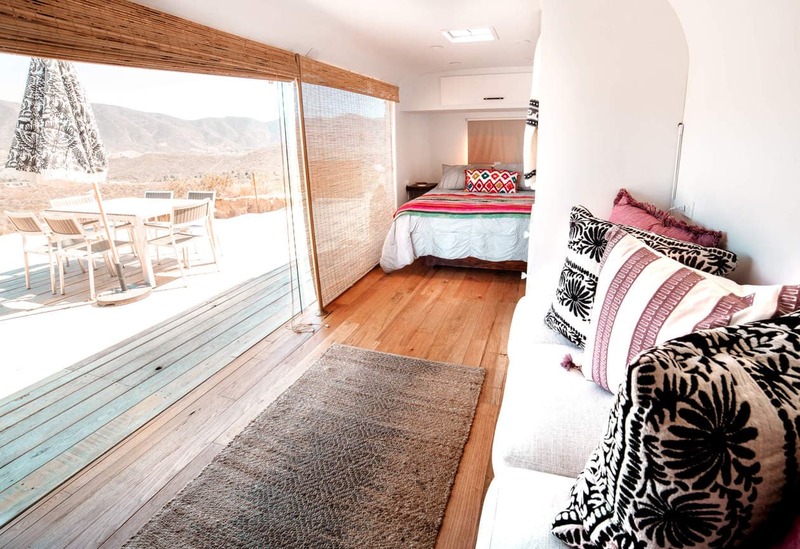 To book Arre Lulu Baja Dos, click here. 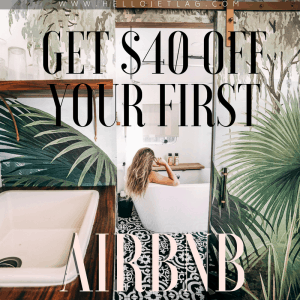 If you’ve never booked a stay on Airbnb, click above for $40 off your first night’s stay! 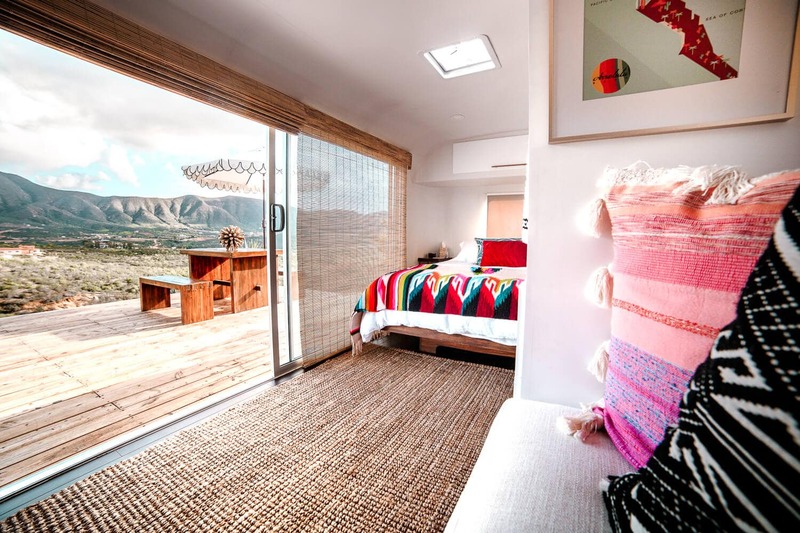 Arre Lulu Baja is located in a quiet residential area off of La Ruta Del Vino. 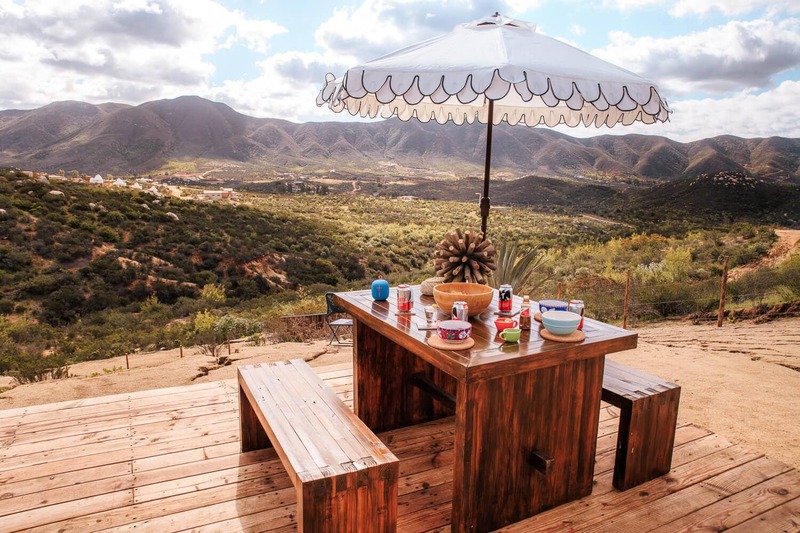 It’s 6 miles (10km) from Vena Cava Winery, 11 miles (18km) from Supermarket Liz, and 5.5 miles (9km) from La Cocina Dona Esthela. 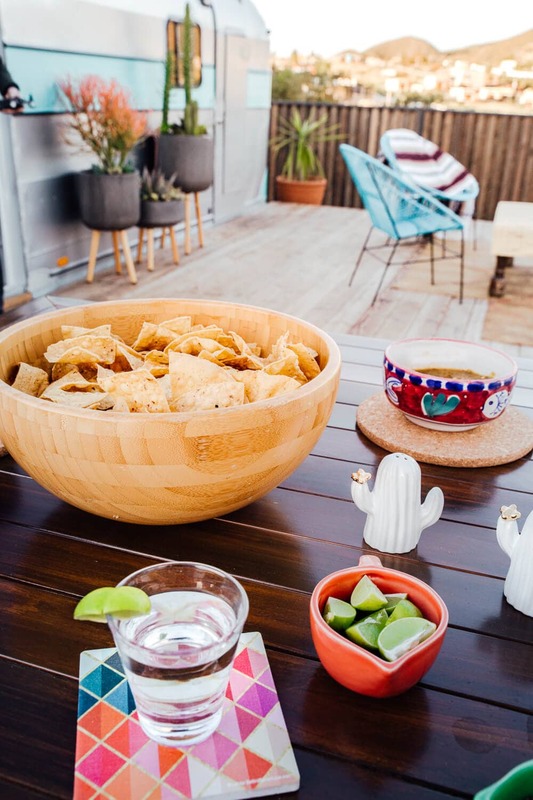 It’s very important that you are close to La Cocina Dona Esthela 😉 . 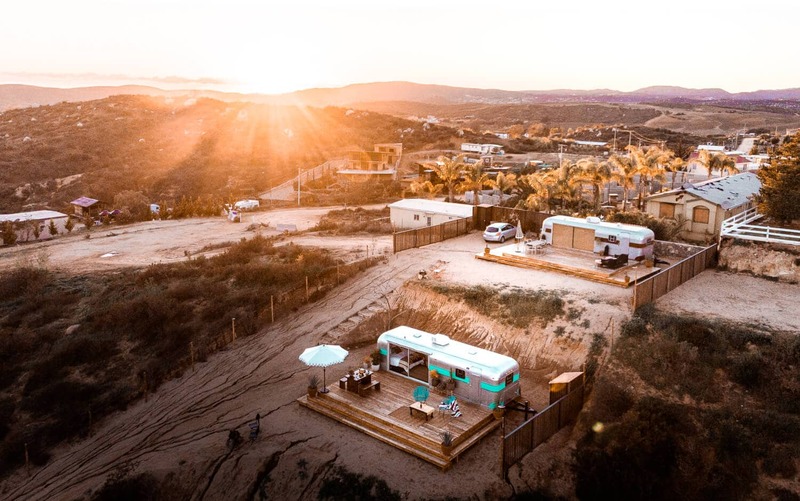 Google Maps recognizes the trailers and they are easy to find but Charisse and Tony will also provide a map, coordinates and directions for backup, because easy to take a wrong turn in the Valley. Disclaimer: Thank you Arre Lulu Baja for hosting our stay! This post is not sponsored but it does contain affiliate links. This means if you make a purchase, we receive a small commission which helps us to run this site. Thank you for your support!